You'll be £19.99 closer to your next £10.00 credit when you purchase The Charge of the Light Brigade. What's this? The most notorious, and most contentious, cavalry charge in history still remains an enigma. Though numerous books have been written about the charge, all claiming to reveal the truth or to understand the reason why; exactly what happened at Balaklava on 25 October 1854 continues to be fiercely debated. Voices from the Past, The Charge of the Light Brigade relives that fateful day not through the opinions of such historians but from the words of those that were there. This is the story of the charge told by the soldiers of both sides, in the most detailed description of the Battle of Balaklava yet written. Gallop with the light dragoons and lancers into the mouths of the Russian cannon as the shells and cannonballs decimate their ranks. Read of the desperate efforts to return down the Valley of Death as the enemy pressed around the remnants of the Light Brigade, and of the nine Victoria Crosses won that day. Possibly more significant are the accusations and counter-arguments that followed the loss of the Light Brigade. Just who was responsible for that terrible blunder? The leading figures all defended their own positions, leading to presentations in Parliament and legal action. Yet one of those senior figures made an astonishing admission immediately after the battle, only to change his story when the charge became headline news. 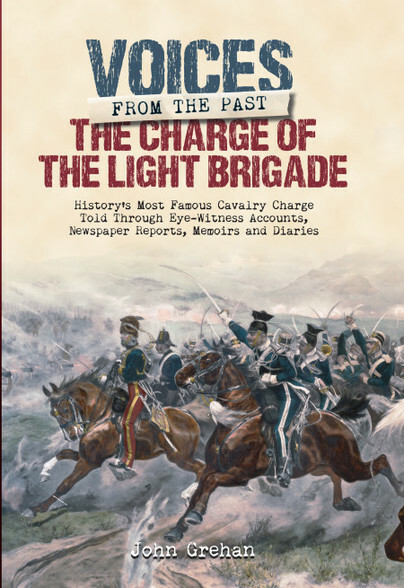 Just who was it that made the fatal error that cost the British Army its Light Brigade?